Has ‘hope and change’ been fulfilled? Every four years, presidential nominees tell voters that this election is the most important of our lifetimes. Such proclamations are largely hyperbole. In 2012, however, it might be warranted. This election is consequential. During the next four years, the nation will have to face issues of debt, taxes and fiscal stability that will imprint our grandchildren’s futures and beyond. National and homeland security have received less attention during this election than in the previous few, but they always are an international or national incident away from dominating our consciousness in ways we can’t anticipate. And issues surrounding inclusion, equality and fairness can’t ever be forgotten for long. Otherwise our essential character as a country — the very essence of the American experiment — will be endangered. The past decade, particularly the past four years or so, have put all of those matters at a tipping point — to borrow a phrase from writer Malcolm Gladwell — during the next four years. 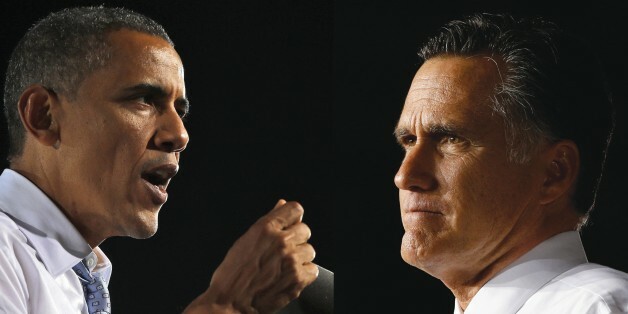 It matters whether voters choose Republican presidential nominee Mitt Romney or President Barack Obama to address them. The classic question, “Are we better off than we were four years ago,” leaves a mixed answer for many people I meet when traveling around Virginia and the country. The grand symbol of that fact is the economic growth numbers released this past week. The projection was for roughly 1.7 percent growth, but the statistics actually came in at 2 percent. The Obama campaign trumpets the numbers as better than expected. The Romney campaign notes they are lower than promised four years ago. Both are right. I have campaigned for and supported the president in the past, and many people now want to discuss his job performance with me. They often note that Obama ran as a moderate — and that is the man they threw their support behind in 2008. But some look back and say that he has governed as a left-of-center liberal who did not keep the focus squarely on jobs and economic recovery. Is that group of independent-minded voters enough to swing Virginia’s 13 electoral votes away from Obama on Tuesday? The race is so close, we will have to wait until November 6 for a definitive answer. But for a state Obama may need to win, that uncertainty after almost four years on the job cannot be a great comfort to his campaign operatives. The Republicans endured a bad nominating process. Yet in the end, they seem to have chosen a credible candidate that many Virginians tell me they would feel fairly comfortable with in the Oval Office. Democrats counted on using ad hominem attacks to make Romney seem too unworthy and too unsteady to be the country’s chief executive because of the rough nominating process. But that has not been 100 percent effective. Will it be effective enough? We’ll find out on Tuesday. A while ago, I suggested Obama needed a stronger partner on the ticket for this election. Vice President Joe Biden has been too much of a distraction this campaign, which was highlighted by his performance during the mid-October VP debate. That is not to mention other odd statements. In 2008 both presidential nominees could have used more thorough processes to arrive at better vice presidential decisions. Future candidates will be advised to take note. Vice presidents are important advisers, national and international surrogates and prospective party nominees themselves. Even minor mistakes in choosing a vice presidential running mate are worth avoiding. A few weeks ago in my hometown, Richmond, Virginia, women stopped me to discuss the election. She told me, without hesitation, that she voted for Obama in 2008. I asked if that meant she would do the same in 2012. She answered by saying her vote was not to be taken for granted by anyone. She said she decides whom to vote for during each campaign based on the issues and a candidate’s record. I didn’t push her any further. But does her sentiment make the president’s team comfortable about next Tuesday? It might not — nor should team Romney take too much comfort in that.